Like any Lake in Alabama, Holt Lake situated on the Warrior River System (right below Bankhead Lake) in mid Alabama, is subject to be lower than normal this summer season. Summertime lake levels can be down or at full pool. Its all according to the amount of rain we get this year. For years you seldom saw this Warrior River Impoundment lower than full pool no matter how hot it got during summer months of the past. Fortunately it has recently been a better than normal – first six months of the new year – with this past spring and early summer season showing Holt Lake fluctuate either up a few inches over full pool or only down a foot or so. But that can all change if normal summer rains and evening thundershowers decrease, meaning less water coming into the lake, to keep Holt Lake at or near full pool. 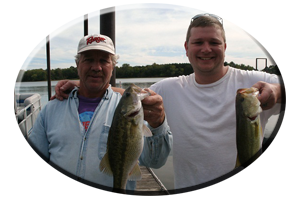 Regardless, the bass hidden in Holt’s deep, clear waters have plenty of depths to retreat to. If little or no rain drops the lake, it only forces them to abandon the shallows and move a little deeper. Keep in mind, this is normally, a deep clear water impoundment and during summer with little or no rain, it can clear considerably. Holt Lake features a lot of deep water and rock bluffs all along the upper lake to the lakes lower end. All 18 miles of it. As with any lake featuring deep, clear water, Holt Lake’s bass inhabitants are also very weary and lure conscience. Which means getting these conditioned bass to even bite your tempting offerings is usually a task. 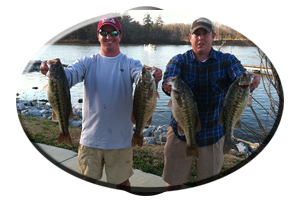 At times many anglers fail to even catch a bass or two for an entire days efforts. 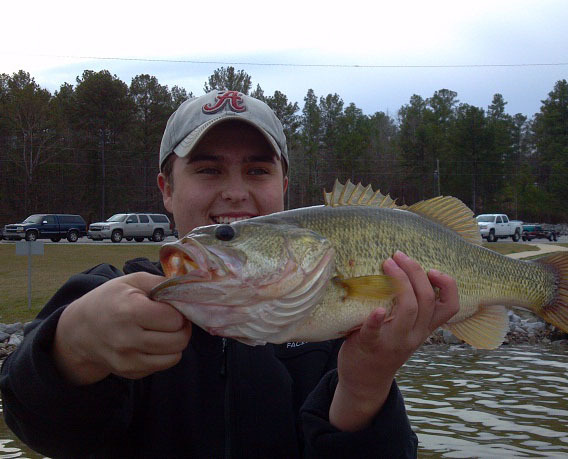 Making it an even less desirable lake among Alabama’s anglers, especially when they have other choices to make. 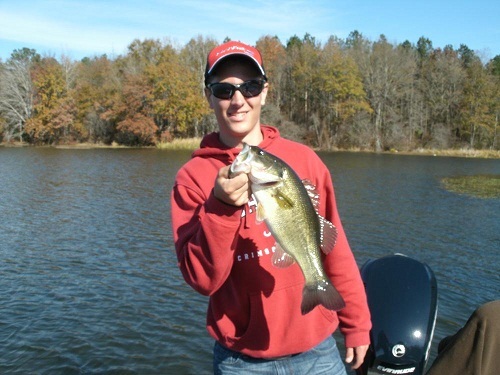 But there are always a few tricks that will at least get a few bites, often from one of the lakes many smaller schooling bass such as spotted bass, largemouth bass and even white bass often numbering in the dozens. Little wolf packs that roam this lakes fertile waters as they follow baitfish schools and scrounge for crayfish on the lake’s rocky shorelines. As always, when you encounter several good bites from these bass, mostly weighing in the 1-2 pound range, there are always some bigger bass lurking nearby. So make it a mental note and always keep in mind, you are not just targeting just small bass during these summer months. Its true a lot of really big bass are loners on Holt Lake. There are even some schools of big bass. But of all of Holt’s big bass, no matter if they are loners occupying a small piece of weed, wood or rock cover, or if they just happen to roam the lakes waters in schools following the baitfish. At some time, all big bass eventually find themselves hungry and looking for an easy meal. This can easily be found when sitting at rest right under any school of smaller bass and the baitfish they are after. Smaller bass you may be constantly catching, could be grabbing everything that comes their way and the bigger, more lazy bass, have to wait. 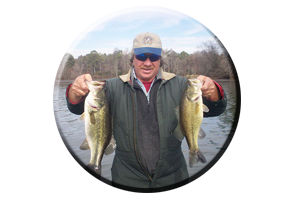 Or they can choose to exert a lot of energy, competing for food, with the smaller, much faster bass. 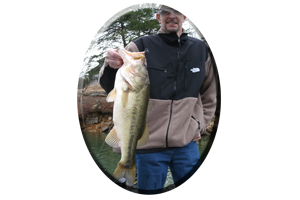 Most big bass usually just wait down below, either suspended at mid depths, or close to the lakes bottom in the deep dark depths, hidden and unseen. Until its to late, for the small prey dropping below the frantically feeding schools of smaller bass. So lures like jigging spoons, tail spinners, rooster tails or shad imitations on jig heads, allowed to drop right down to the lakes bottom, can result in the biggest bass or two in the school. 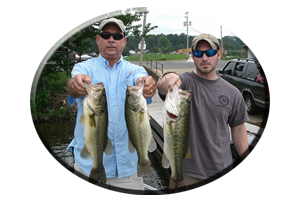 These big bass of summer are lazy and when you encounter them, its a good chance they have already fed and are dormant or just resting. But it does not mean they will not hit an injured looking easy-to-catch, struggling meal, fluttering to the lakes bottom, right in their face! As smaller schooling bass attack Holt Lake’s shad or small minnows, some prey get injured and just slowly sink or flutter to the lakes bottom. An easy meal in the eyes of a big bass, an easy meal that requires little effort to consume. 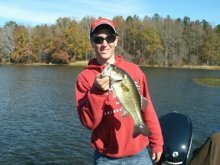 So lures like just mentioned will look and simulate these prey, usually resulting in bigger bass this summer season.